Boat insurance policies are not standardized like auto insurance so the coverage and terms can vary from one insurance company to the next. While the policy wordings do share common elements, there are six key components you should review and understand before you choose one boat insurance policy over another. 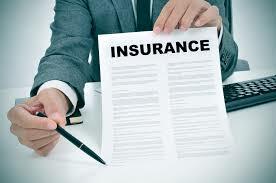 There are several different types of boat insurance policies offered by insurance companies. The most common is hull and liability coverage that protects the boat and damage caused to other people or their property (i.e. third parties). You can also purchase a liability-only policy that only covers damage to third parties or a builder’s risk policy that covers the boat on shore during construction or refit. Do you have the right policy type for your needs? Navigational limits: Your policy will define where you can operate your boat. The policy limits can only be amended by endorsement. Layup periods: The policy will state what months you may operate the boat and when it needs to be in storage. The most common lay up dates are November 30 to April 1. Private Pleasure Use: Unless you have a commercial insurance policy you must not use the boat for any commercial activity. Commercial use could include charity fundraisers, chartering, giving tours, teaching boating courses, or transporting employees or clients. Propane or Natural Gas: Imposes conditions on use and type of appliances permitted on the boat. Most boat insurance policies will not allow any appliance that has a pilot light. Live Aboard: Unless there is an endorsement in effect you cannot live on the boat during the lay up period. Racing Prohibited: Most policies allow a sailboat to be covered while racing but powerboats may not be used in any race. This clause will define what the boat insurance policy is obliged to pay you if there is a claim made. The most common types are Agreed Value (no depreciation on claims) and Actual Cash Value (depreciation applied on all claims). Agreed Value coverage is more expensive but it saves you from unexpected expenses due to depreciation after there is an accident. With an All-Risk policy there will be general exclusions as well as exclusions specific to each part of the contract. These are specific perils that are not covered that you should be aware of. General Exclusions – there is no coverage provided due to loss resulting from war, nuclear incident, dishonest or illegal acts or if you mislead the insurance company or provided false information to get a lower rate. Exclusions – typical exclusions are for loss or damage caused by wear and tear, gradual deterioration, freezing, mechanical breakdown, lack of reasonable care in the maintenance of the boat, unexplained disappearance etc. This is the dollar amount you are required to contribute to any claim. It is common to have more than one deductible based on the type of claim being submitted but only one deductible is applied per occurrence. A deductible is not usually applied on a total loss. The deductible is payable regardless of who is at fault for the damage. These are clauses added to a policy that modify the coverage or change a warranty. The most common endorsements are for navigation area changes, winter live aboard, and lay-up afloat. If you have unique needs it will normally be described in the endorsement section. Only after you have read and understand these terms and condition should you consider the premium being quoted. If you select coverage based on price alone you might just be buying the policy with the most exclusions that pays the least on claims. with their boat insurance for over 70 years!